AMAZING...STUNNING...MAGNIFICENT views of the Guadalupe River and expansive New Braunfels hill country from this cliff side 6.4 ACRE RIVERFRONT property in River Chase. Property entrance is situated in a cul-de-sac with almost no traffic, lots of trees allow a great building site to be very secluded. Building site is high and out of the flood plain and flood way. Less than 10 minutes to Gruene and I-35, 45 min to downtown Austin, 30 min to San Antonio. River Chase neighborhood has a 57 acre river front park with a limestone beach entrance, dock, playgrounds, tennis courts, grills and a party pavilion. A separate 33 acre Clubhouse area has swimming pools, basketball and tennis court, baseball and soccer fields, even a fishing pond. 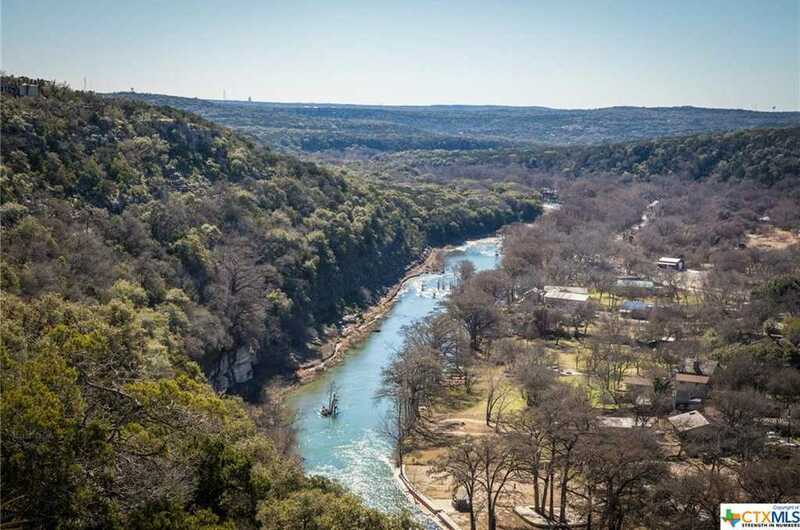 AMAZING…STUNNING…MAGNIFICENT views of the Guadalupe River and expansive New Braunfels hill country from this cliff side 6.4 ACRE RIVERFRONT property in River Chase. Property entrance is situated in a cul-de-sac with almost no traffic, lots of trees allow a great building site to be very secluded. Building site is high and out of the flood plain and flood way. Less than 10 minutes to Gruene and I-35, 45 min to downtown Austin, 30 min to San Antonio. River Chase neighborhood has a 57 acre river front park with a limestone beach entrance, dock, playgrounds, tennis courts, grills and a party pavilion. A separate 33 acre Clubhouse area has swimming pools, basketball and tennis court, baseball and soccer fields, even a fishing pond. Please, send me more information on this property: MLS# 366830 – $775,000 – 146 Ash Juniper, New Braunfels, TX 78132. I would like to schedule a showing appointment for this property: MLS# 366830 – $775,000 – 146 Ash Juniper, New Braunfels, TX 78132.